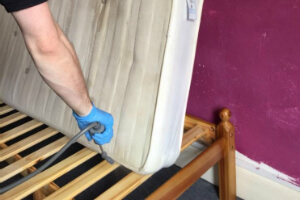 Residential & Commercial Pest Management South West London SW | Quality Property Care Ltd.
You no longer have to tolerate bed bugs or dust mites, give Quality Property Care Ltd. a call by dialing 020 3746 4287 and let our team of professional pest control technicians take care of the rest. We are available also on weekends and evenings. Don`t hesitate to contact us anytime and for any questions. You have a serious home or commercial pest problem and we fully understand and support you. This is why we will act quickly and make everything we can to chase the pests away and keep them afar for the future. The pest technicians will use different poisons and baits depending on the pests. All procedures are safe, but it is recommended for you to be away from the premises. The professional pest control service in South West London SW is 100% insured and the pest technicians are licensed and vetted. Whether the invasion of rats or dust mites has recently started, or you have pest problems for months, we will deliver you an optimal pest management. Depending on the type of pest, different treatment methods will be used. Insecticides and pesticides are chosen in advance. No need for you move the furniture or to provide the pest specialists with anything for the job. We arrive with a van with everything required. It is preferable for you to remain outside of your property during the treatment. It is secured and safe, pet-friendly and child-safe, but the experts will need more space to handle the task. Note that both the pest technicians and pest control service are fully insured. We cover any type of omissions and damaged. Going through pest problems and in need of professional help? 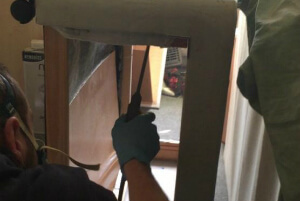 A professional pest removal service is there for you by Quality Property Care Ltd.. Dial 020 3746 4287 and get the finest pest control technicians in the entire Greater London area. We work safely and efficiently, to guarantee the wellbeing of your business and family. Get in touch with us at any time and get a free consultation, and for just a bit more get a 3 month guarantee.